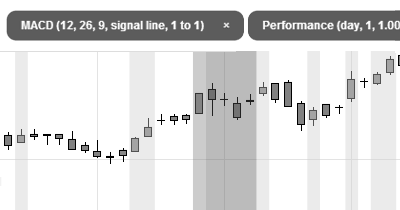 Add indicators and filters to isolate trading situations right on the chart. 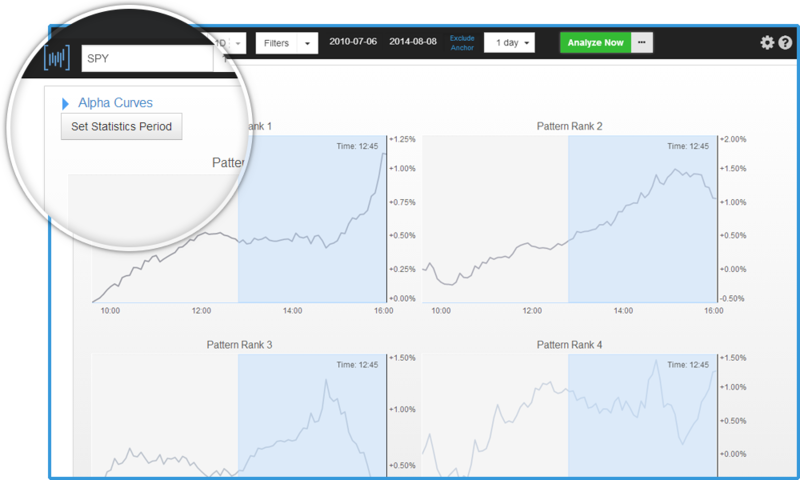 Pinpoint actionable ideas based on advanced analytics and pattern recognition algorithms. 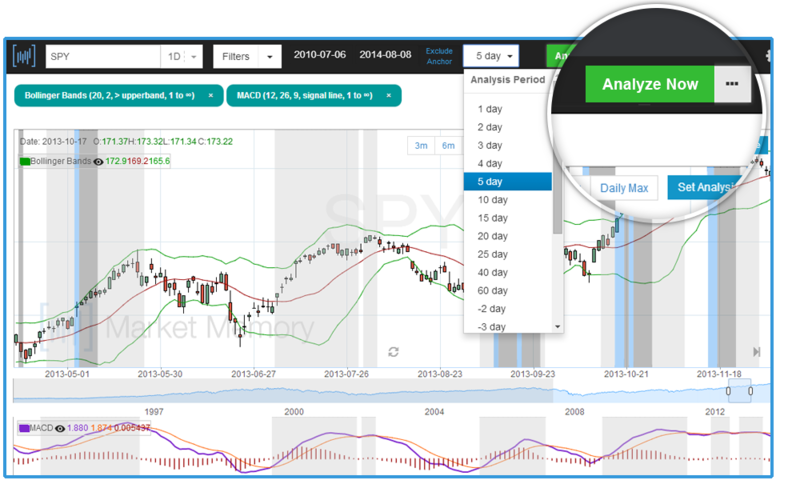 Create precise strategies by adding technical indicators, calendar events, and fundamental data right on the chart. Make strategies as simple or as complex as you need. No coding required. Every strategy you create is instantly backtested. 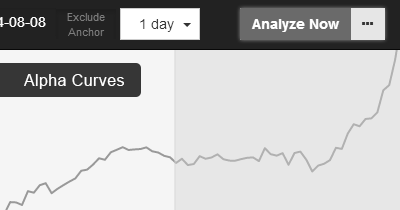 Reports include detailed statistics tables and pattern recognition algo outputs. 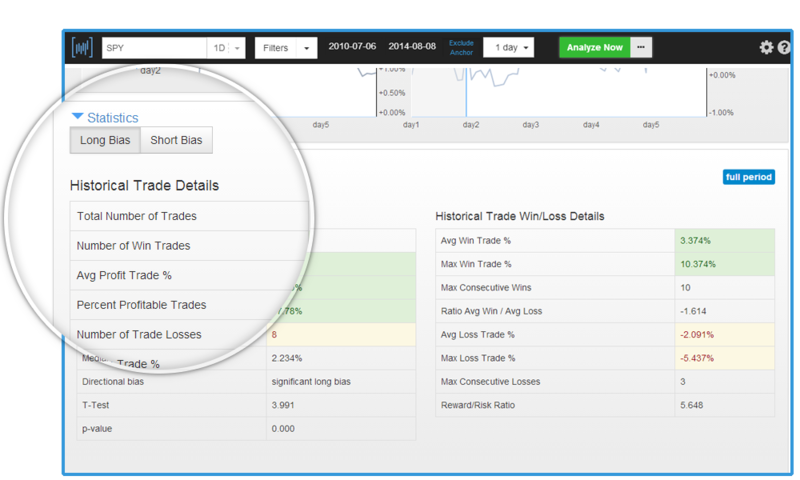 Refine settings and timeframes on the fly and look "inside the bars" to find information relevant to your trading. Actionable intelligence available at your fingertips. Our platform dynamically allocates computer resources to you as you work. No more hassles of managing long timeseries data or being bogged down with heavy CPU computations. Market Memory manages data from countless reliable sources and ensures that it is up-to-date and full integrated when you need it. 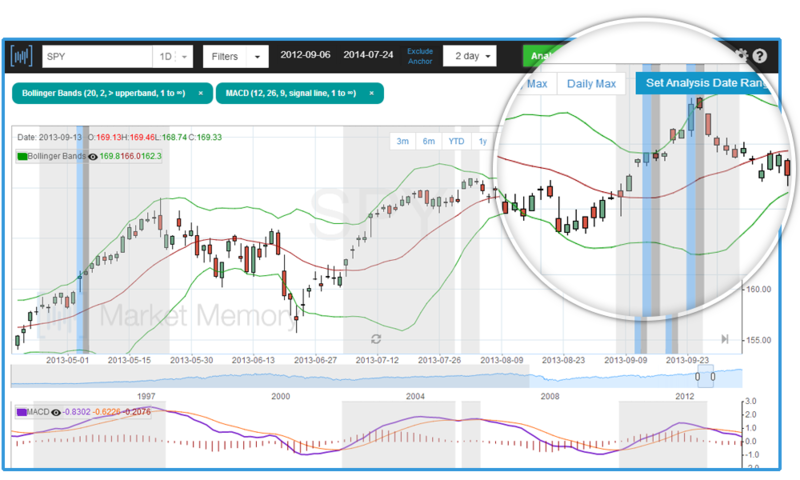 Go beyond drawing lines on charts: Validate investment ideas and control every detail in Market Memory.